The Al-Hajj, Inc. and Seraaj Family Homes, Inc. Training Institute has trained individuals in the Child Welfare field since 1995. Since then, our goal has been to enhance the skill level of professionals serving children and families. Since its founding, the organization has partnered with the Alabama Department of Youth Services, Alabama Voices for Children, Early Intervention, and the Foster Family-based Treatment Association. Currently, we contract with the Alabama Department of Human Services. The organization offers training opportunities throughout the year on various topics required by specific accrediting and licensing bodies. Teleconferencing enables us to simultaneously train individuals physically and virtually from all over the world. 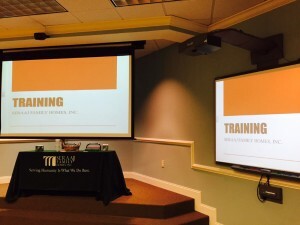 Each trainer is required to submit a resume indicating experience in his or her particular field of training, a list of objectives to be covered, visual aids or tools used in training and/or handouts to be used. At the conclusion of each training session, each trainer is evaluated by the participants. The Seraaj Family Homes, Inc. Training Institute has been approved by NBCC as an Approved Continuing Education Provider, ACEP No: 6168. Programs that do not qualify for NBCC credit are clearly identified. 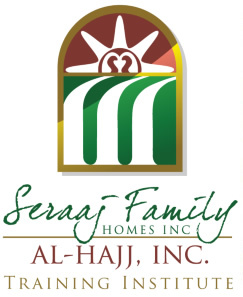 The Seraaj Family Homes, Inc. Training Institute is solely responsible for all aspects of the programs. 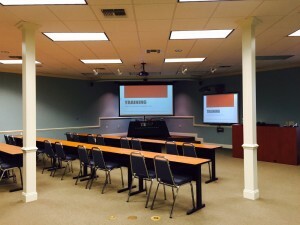 The Al-Hajj, Inc. and Seraaj Family Homes, Inc. Training Institute offers three training facilities that cater to various teaching and learning styles. 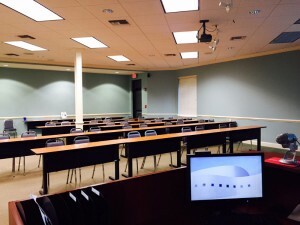 The institute provides reference materials and learning aids, including the following: audio visual equipment, computer, smart television, SMART Board, image projectors and much more. This training covers the period of physical and psychological development between puberty and maturity. It also covers the challenges of adolescence, cognitive development, adolescent caregiver dilemmas , and how to solve them with appropriate parenting skills that are sensitive to adolescent needs. Participants will be trained in how to advocate for the therapeutic foster care and special needs population through understanding the connection between normalization and advocacy, how to properly advocate, the precursors to advocacy, long-term advocacy planning and strategies, reasons and goals for advocacy, and types of advocacy. This training will guide parents and professionals on how to best help youth with ADHD. The training will explore myths and facts, the history of ADHD, symptoms, diagnoses ad treatments, behavioral/ psychosocial interventions, homework management, social interventions, and positive reinforcement. This training involves a review and discussion of various consumer rights such as privacy and religious worship, with emphasis on agency policies and practices in support of rights. Through this training, participants will increase their awareness of consumer rights, and become more aware of agencies’ enforcement of rights. This training will review culture generally accepted best practices for cultural competency, root causes for cultural incompetence, and cultural prejudice and privilege. Participants will learn the best practices for working with consumers who have disabilities , the “Normalization Principle” and its connection between inclusion, cultural competency, how to prepare for the advocacy role, and existing federal legislation in respect to the topic. This training teaches the definition of ethical behavior, understanding ethics in various aspects such as confidentiality and boundaries, applying ethical standards, Codes of Ethics of professional mental health organizations. Through this training, participants will better understand the value and purpose of family visitation, learn major components of unsupervised and supervised family visitation, obtain better understanding of “therapeutic” visitation and become more aware of barriers to family visitation. Find out more about the trainers on our Training Institute Professionals page. The series is being offered free of charge to your university. Please contact Frankie Travis at ftravis@seraajfh.com for more information.